Spring is the season of hope, of joy, and of great expectations. It is the time of celebration that difficulties have been overcome and of looking ahead. This sense is reflected in our folklore and mythology as well as in our farming practices. Even our religions share a sense of hope and glory ahead. Call it Easter, Passover, the Hindu festival of “Devali” or by any other name, the underlying concepts are the same. So, why not also in public administration? What a perfect season to introduce innovation and hope in the delivery of public services? Why not make the springtime the season of management and supervisory training and development opportunities, of planning for improvement or reforming HR practices, and much more!? A metaphor for the spirit of the season rests in the U.S. Postal Service, notwithstanding its ongoing financial woes. These troubles periodically manifest in rate hike discussions, threatened elimination of Saturday deliveries, closures of local post offices (you know, the ones opened years ago amid a flourishing of congressional ribbon-cutting and posing for photos), and concerns for the threat of continued replacement of basic services by e-mail, UPS and FedEx privatization, etc. It still falls to the U.S. Postal Service to be an instrument in the arrival of news of momentous importance to each of us. In our careers and in our lives, there are moments of key importance when news finally arrives that we have expected impatiently for a long time. The wait by the mailbox seems interminable. The HR Doctor remembers as though it were yesterday running to the mailbox every day as a high school senior waiting for a letter from UCLA. Then the letter arrived and I recalled being paralyzed for several moments. Do I open it? What if I haven’t been admitted? I have shared my hopes and dreams with friends and colleagues. I have waited for weeks and now the letter is in my hand. Do I open it now? I did. I stared at the letter in silence as I read the words “Congratulations on your admission to the University of California, Los Angeles!” If it had been bad news, I would have stared at it in silence in much the same way, though the later celebration and joy would not have been there. The same scenario replayed itself a generation ago in the Rosenberg family with two major events occurring in close proximity. Wonderful HR daughter Elyse, a county government Senior Management and Budget analyst at the time, applied for a promotion to manager. Needless to say, the letter arrived, ironically, while Rachel was on the telephone talking to dad about her day’s experience. I got to open the magic letter from the dreaded “Board of Medical Examiners” and got to say immediately, “It’s a Pass, Rachel! Not only is it a pass, it’s a ‘super pass’!” Perhaps it was wrong to open the letter while my daughter was driving home from a day at the hospital because the tears which followed made driving dangerous. How wonderful that they were tears of joy. It may be something like medical boards or getting a promotion. It may be good news from the doctor or good news about other people you work with or care very much about. The situation is the same. 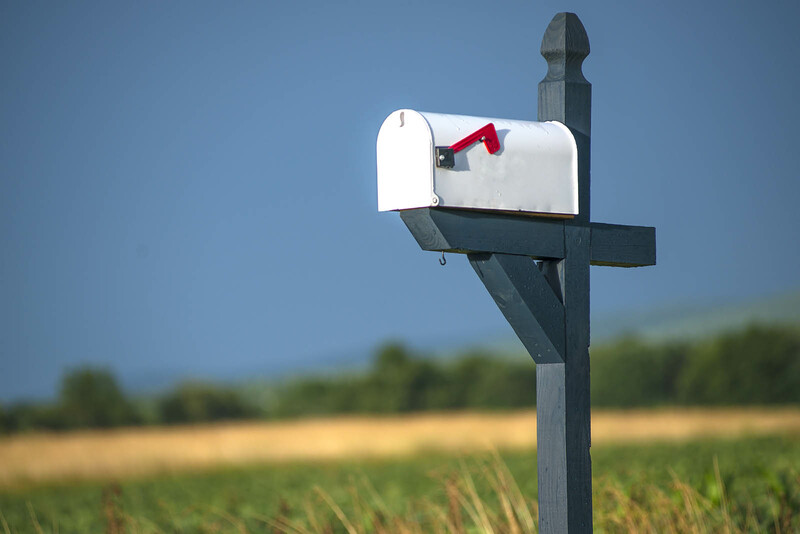 Every one of us faces these moments in our lives when we “wait by the mailbox” — either literally or figuratively. These moments of great importance are benchmarks in the progress of our careers and our lives. While we believe that joy is far better than disappointment, the HR Doctor wondered — but only briefly — how the HR daughters would have reacted if the promotion went to someone else or the board scores were disappointing. How we handle disappointment and failure is, arguably, more important than how we handle success. The best bosses, colleagues, spouses and parents work through the process of recovery and growth out of disappointment with the ones they care about with equal passion and sharing as though it was joy rather than sadness. Joy may not be as great a character builder as disappointment can be, but it is much more fun! The HR Doctor hopes that your time spent “waiting at the mailbox” produces equal joy to what has occurred repeatedly in our house.